At 0545 hours, Box 49-2 sent companies to 2060 Paxton Street at the Faulkner Hyundai car dealership for a structure fire. Multiple calls were being received for the building behind the dealership. Captain 49-1 (Trammell) arrived on location with a working fire in a 75x300, one-story, body shop, building and requested the first alarm. 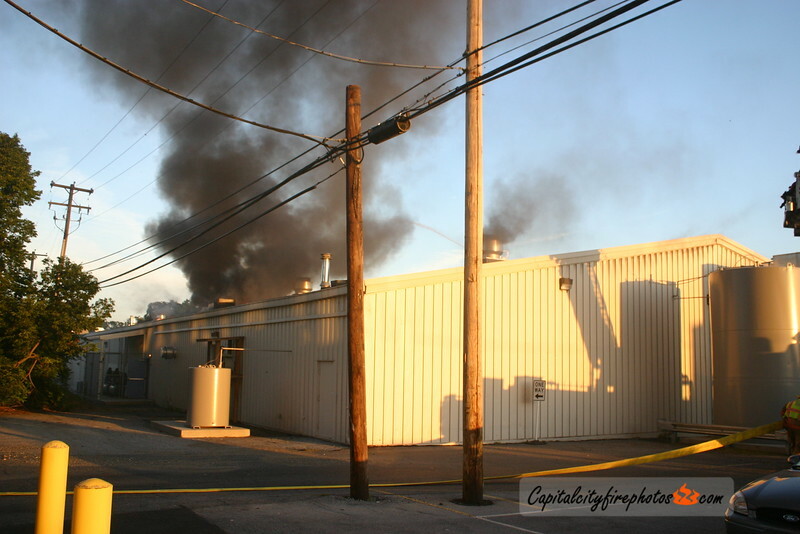 Heavy, black, smoke billowed from the roof as crews secured a water supply, laid lines, and set up for aerial operations. Interior crews gained access and found a fully involved vehicle that had extended into the roof area. The bulk of fire was quickly knocked down without further extension. Units remained on the scene for an extended period of time performing extensive overhaul. The fire has been ruled accidental and was electrical in nature.